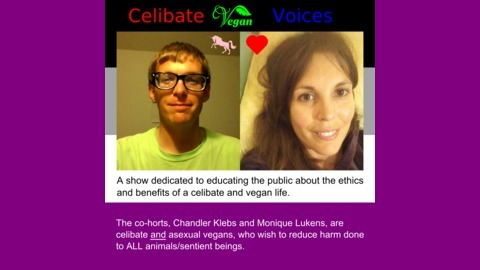 Celibate Vegan Voices is an internet radio show AKA podcast run by two compadres: Chandler Klebs and Monique Lukens. 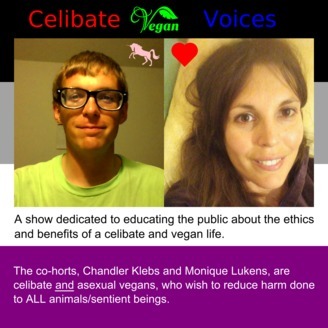 They discuss the reasons behind why veganism and celibacy are essential to their lifestyle. Discussion of ethical and religious reasons for these will be a common topic of conversation. Guests are welcome to join if interested. Sunday, July 22, 2018 More info to possibly be added later.